Eplexity is a hybrid cloud management and consulting platform, offering our clients services in areas like hybrid cloud Management, cloud architecture services, cloud managed services and more. 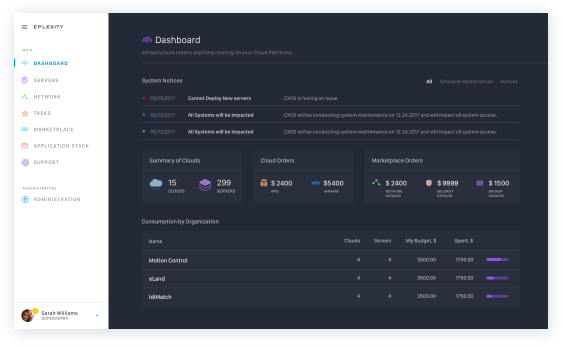 Eplexity’s cloud management platform offers a 1-click capability to deploy servers, storage, network components and applications across a variety of public and private infrastructure options (VMWare, AWS, Azure, OpenStack, Nutanix and more). 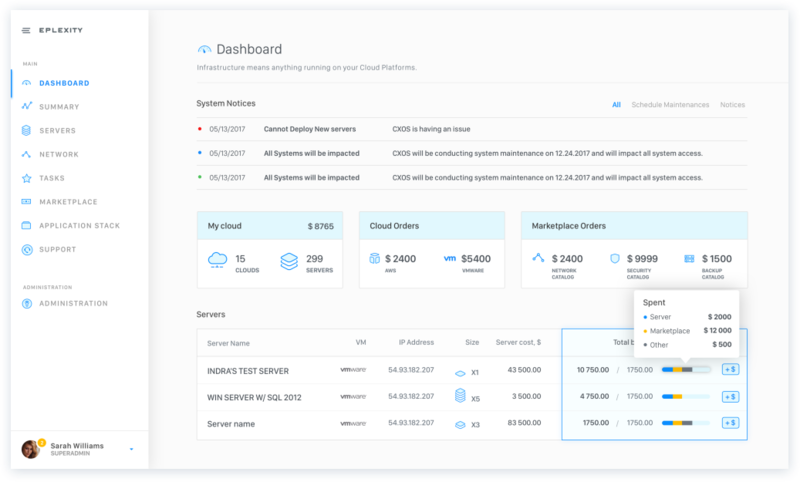 As a cloud service provider, Eplexity understands the necessity of being on a roll and supplying their clients with a simple resolution for complicated tasks. The previous service design was out of date and way behind competitors, who offered intuitive and consistent design to their customers. Through a series of workshops and UX review process, we analyzed pain points of the current platform design. After that, our team suggested clean and intuitive design to present Eplexity cloud services and solutions. 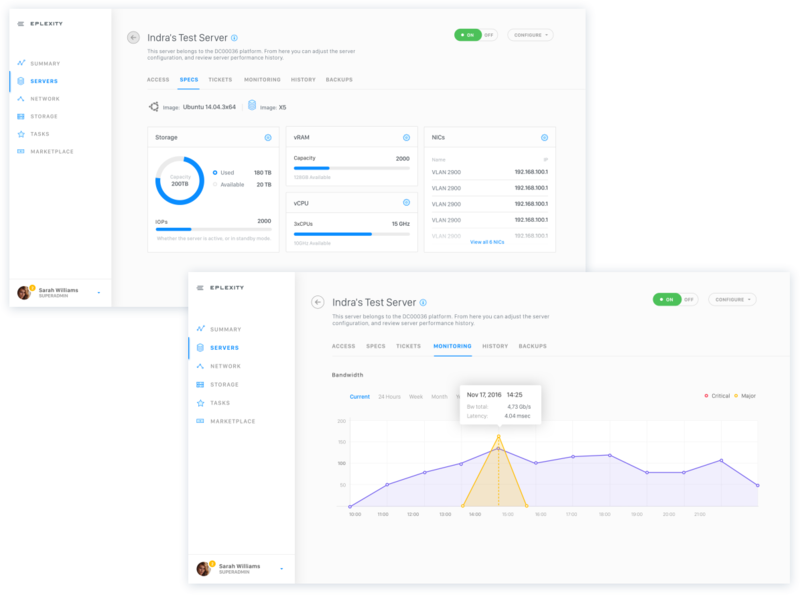 Making the design for cloud management platform we focused on making a clean and and fresh design, making navigation, infrastructure setup, and other features easily accessible by users of any level of technical expertise. 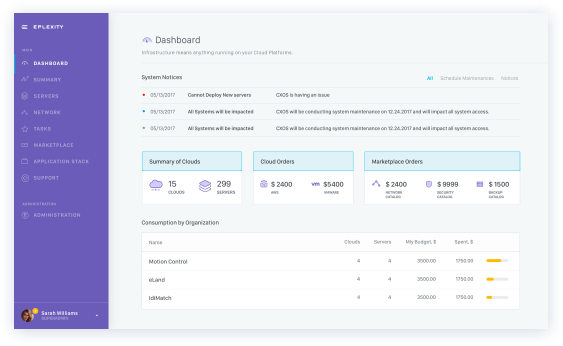 In the process of making UX/UI design for cloud platform by Eplexity we collaborated with their backend developers to make sure all the parts work together seamlessly. Hey, it's time we got a little closer. Seriously, we love learning about cool ideas and plans. Let's make them happen! We are willing to learn more about you and your needs.